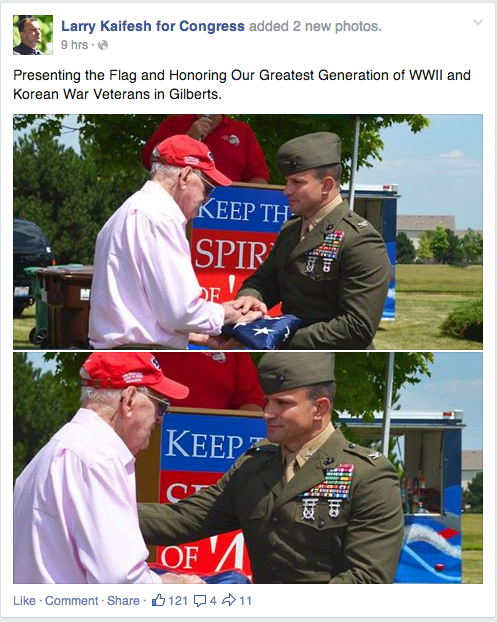 We're back in the saddle here at the Illinois Truth Team and it is Monday, so that means we take some time to look around on Facebook and see what the campaigns have been up to the past few days. 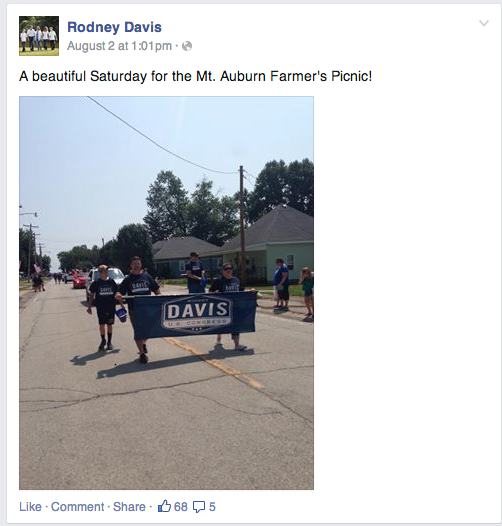 Congressman Rodney Davis walked in the the Mt. Auburn Farmer's Picnic Parade. 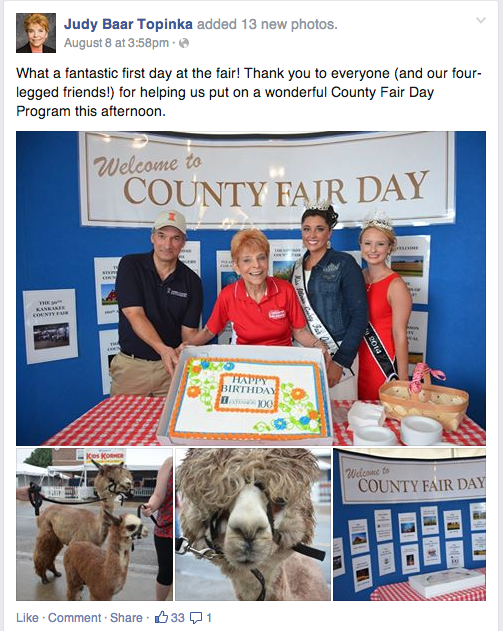 Illinois Comptroller Judy Baar Topinka hung out with some beauties and llamas. Congressional candidate Larry Kaifesh 'suited up' in Gilberts. Pretty impressive. 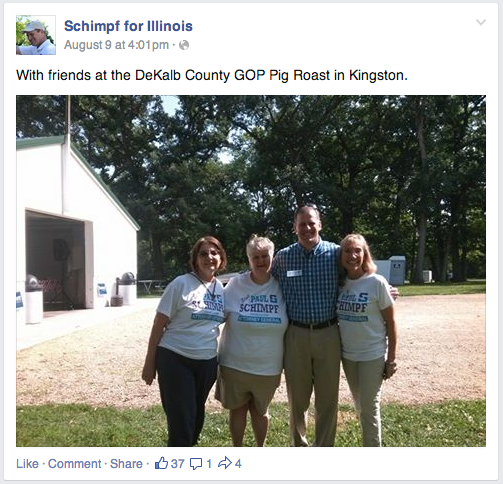 Paul Schimpf was out in DeKalb County for their local Republican Party Pig Roast. 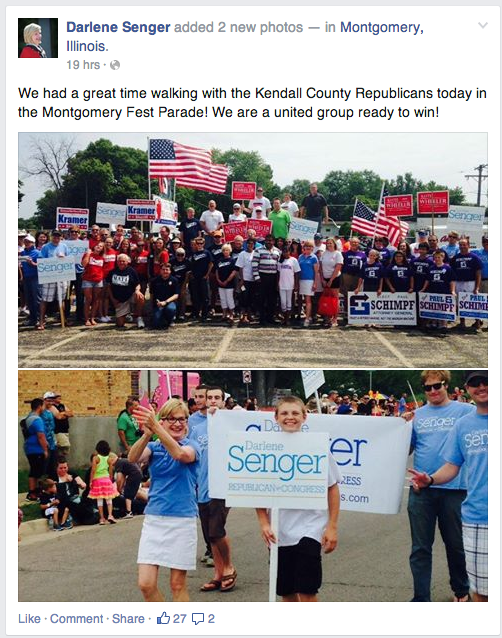 Congressional candidate Darlene Senger - along with a HUGE crowd - walked with the Kendall County GOP in the Montgomery Fest Parade. 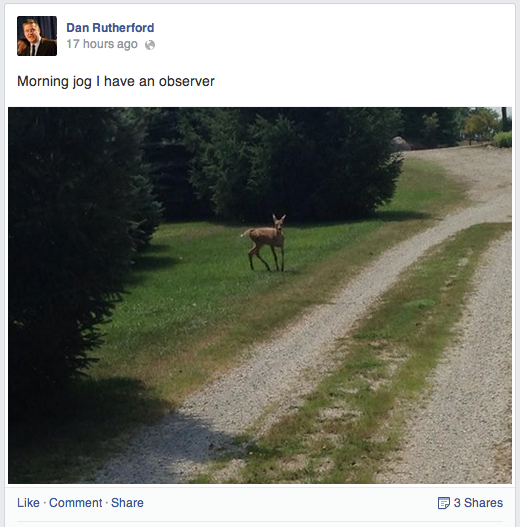 And Illinois Treasurer Dan Rutherford went for a jog and spotted this cute deer.